Durango Vineyard Church band plays during Wednesday service at Escalante Middle School. The Vineyard Church band plays during service at Escalante Middle School. Winston Sollay, music director and worship leader, leads the all-volunteer Durango Vineyard Church band. On a chilly, pre-Christmas Wednesday night, members of Durango Vineyard Church filed into the cafeteria of Escalante Middle School for weekly services. After a brief social time before services began, the church band took the stage to kick off the evening. Not unlike many bands you see downtown, this one featured a keyboard, drums, bass, guitar and a singer – and amplifiers and colored lights. The group played for the first 20 minutes of the service, and the churchgoers were on their feet, singing along to the three songs the band played. And if the parishioners didn’t know the lyrics, no problem: The words were broadcast on two screens set up on either side of the stage. This setup is an evolution of the church band. Where once there may have been an accompanist on a piano or organ while the congregation sang hymns from the pews, many churches are building bands as a way to foster a deeper connection with attendees. Winston Sollay is the lead singer of the Durango Vineyard band. 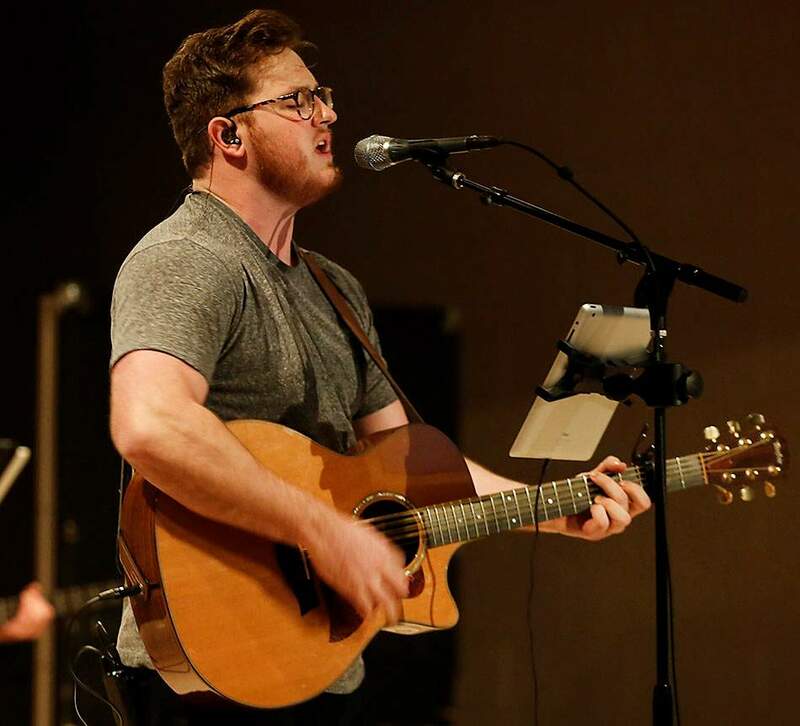 He’s also the Christian-based church’s full-time worship leader at the church and worship pastor at a Vineyard Church in Grand Junction, where he leads its band as well. Sollay, who learned to play guitar at age 11, said he leads his all-volunteer band with an eye toward the care of its musicians. It’s that ability to have enough volunteers to rotate that is an important element for the band at Durango’s Grace Church as well, said Keith Alewine, who has been music pastor at the church for the past 13 years. In the band, he also plays acoustic and electric guitar, and he agrees that it’s important to have a good group to work with. At Grace, Alewine said there is an audition process to be in the band, and he tells potential members that it’s a pretty big commitment: There’s practice for a couple of hours Tuesday nights and a run-through before Sunday services. Alewine said the band tends to vary from week to week, which means so, too, do the instruments, “typically, your usual: drums, bass, guitars, keyboards, piano, singers,” he said. And sometimes, the instrument can tend toward the unusual. 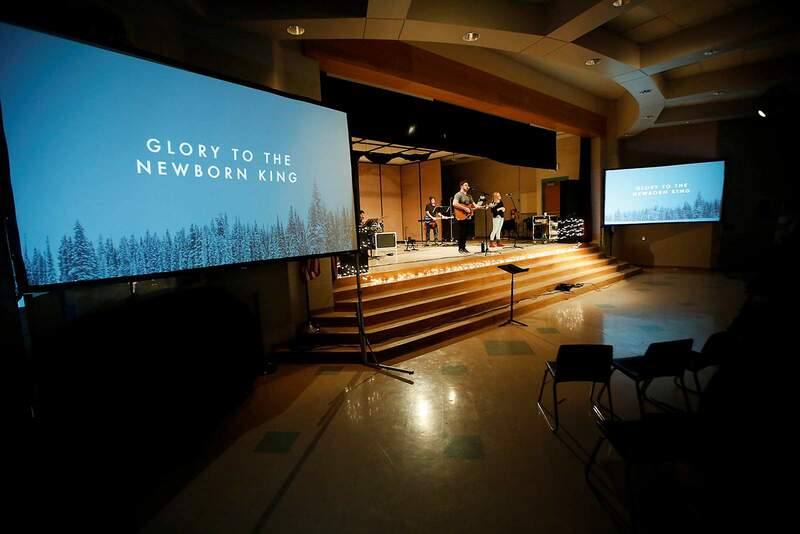 For the two music directors, the evolution of the church band – and the music being played – is an important part of connecting with those who come to services. 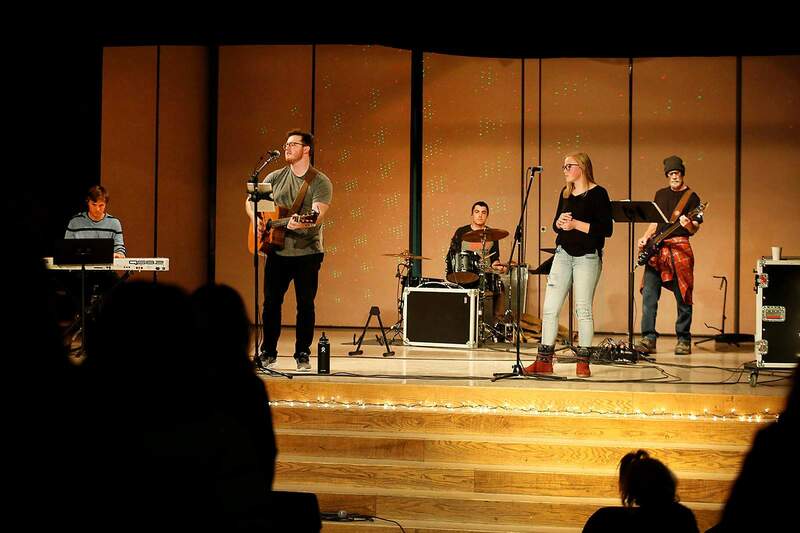 “For me, the reason why a church band is important is I want us to look at ourselves as door-openers,” Sollay said. “It’s sort of this idea that connecting with God is a really difficult thing to do, especially with all the confusion in our culture of who God is, what God is, if he’s important at all, if he exists at all. And then pair that with the busyness of life and how people hardly have time for their families or vacation, much less God. Sollay said he carefully selects the music his band plays so everyone can get something from it. Displaying the lyrics for worshippers serves an important purpose, Sollay said. And at Grace Church, music does play a big role, but there’s more to church than that, Alewine said. For Alewine, a band, and music in general, illustrates a much bigger philosophy.